From a Penn State perspective, one of the common storylines throughout our history is how close things have been on numerous occasions to being very, very different with respect to NCAA DI hockey. One of those occasions was the construction of the Ice Pavilion, which was supposed to be *the* answer at the time. The evident optimism of the "we're going to get a 4,000-seat arena and go DI" quotes attributed to the players, coaches and even administrators from around 1977-1978 is heartbreaking, even now. Long story short, fundraising shortfalls changed 4,000 to 1,250, although the wall behind the benches could have been knocked out in order to double capacity (it was built that way so as not to completely crush the dream). I'm sure they could have added a small section on the scoreboard side as well, although that would be limited by Hastings Rd. Despite that, the build/renovate argument was pretty easily resolved, though: 1. Even at 6,000, the PIA will be the smallest arena in the Big Ten, so something around 3,000-4,000 is pretty easily dismissed as inadequate, 2. Greenberg hasn’t necessarily been maintained like a DI arena over the years and would require more extensive investment than most places (as one example, the underlying surface is supposedly not level as the ground underneath has shifted over the years), 3. Using the $27.9 million La Bahn Arena at Wisconsin as a guide, construction to close the gap in training facilities and add a second sheet – also seen as a necessity at PSU - would have run comfortably into eight figures by itself (UW is a somewhat unique situation with their playing in a multi-purpose arena and needing access to ice when it might not be available at Kohl). Put those together, and you’re probably spending as much as RIT or Colgate on a brand new arena. That’s okay in some cases, and if you’re willing to live with still falling short in some ways (like the seating capacity) in the name of preserving tradition. I’m not sure that as a new program PSU is in a position to have the luxury of that choice, though. We don’t have a track record of championships and player development at the NCAA level, so we need better facilities than everyone else. Also, and unfortunately, 4. PSU’s hockey history simply isn’t valued by most people who haven’t been a part of it in some way. As someone who “came up” in the club era, I know that Joe Battista will take care of us, in terms of banners/displays/whatever in the PIA, and I certainly appreciate that. Outsiders dismiss it as “just club.” Recruits are probably unaware that it even happened. Even the mainstream PSU community (outside of the very loyal Icers-loving fringe) has tended to take a “wake me up when we’re varsity” attitude. That said, you hit on a crucial point in discussing training facilities. Lots of seats and boxes are great for the accountants, if you can fill them. An impressive facade is nice for a wow factor. But that’s not where players will be spending their time, for the most part. People tend to get too wrapped up in the fan experience and not enough in the athlete experience. If Cornell, Colgate or anyone else can keep their training facilities, locker rooms, team lounges and things like that up to par and they deem the seating capacity adequate, I think you really need to present a strong case for building new. Maybe prohibitively strong, because I just don’t see the need at that point. Dress things up, correct some minor architectural errors, sure, but don’t be so quick to raze the place just because Penn State, RIT and Providence are building and you have some ill-conceived notion of needing to keep up. Pegula Ice Arena will be beautiful, and from an amenities standpoint, it will be the nicest building in college hockey. But until it develops that certain character and atmosphere that only comes when a building is appropriately broken in, I'm jealous of Lynah, the Yale Whale, Yost, and yes, Starr. My affinity for ECAC Hockey is pretty easily explained: historic programs, historic barns, academically superior schools (those Hockey East guys were just dragging you down anyway haha) where hockey is the primary entry into big-time athletics. If you guys start unnecessarily tossing tradition in the name of “shiny and new,” a big part of what makes your league special will be lost. PS. I’m totally jealous of your ability to post side-by-side pictures. Thanks for the compliment! I am glad you liked it, I was a little worried that with the philosophical bend that the post took that some would not want to read something this long or about the subject material. Glad that you read it too. I can imagine that being heartbreaking. I didn't realize that during that era (ie the construction of Greenberg) that the players and coaches felt that building would carry them to NCAA Division I. I assumed always that there was the understanding later, after the construction of Greenberg, that they would modernize or alter the facilities to go NCAA Division I, but not that it was expected that early on in the Icers era. Won't Yost after its current wave of renovations be smaller than Pegula? This year's Yost renovations will take the seating down to at most 5,800 seats in order to add more luxury suites. This article says the same: http://www.annarbor.com/news/renovations-to-yost-ice-arena-costlier-than-anticipated/#.UDGTIHEzj3g. I've read some estimates that have the decrease in size (the only member of the B1G to consider shrinking its barn before B1G Hockey begins) to such a degree that the capacity of Yost would be much closer to Lynah's 4,267 at around 5,000. I find Yost's current renovations odd. The one thing I like unequivocally about this Yost renovation and something that Pegula will share is how the windows in Yost will be uncovered and allow natural light in onto the ice. I wondered how you felt about how much many among the newer fanbase appreciate the ACHA history and successes of Penn State. It is a shame that you seem to think that most do not. The initial varsity era of Penn State and Cornell are more similar than one might think. I have been able to see after the announcement that Pegula would fund "the jump" that there is the "wake me up when we're varsity" attitude. I hope that those fans that Penn State gains in the near future stay loyal. I know that Cornell and Michigan for all their current reputation of having rabid fans had issues filling their building with friendly fans. Michigan had trouble filling Yost with passionate friendly fans for most of the era between its first use as a hockey venue in 1973 and Cornell's 1991 NCAA series in that building. Cornell had a much shorter but still notorious drought of fan support from the opening of Lynah in 1957 until the 1962 Harvard game when the Big Red was making an ultimately unsuccessful run at its first Ivy League title. I think this is an appropriate point in the response to share the analogy between Penn State's and Cornell's early varsity eras. Cornell suffered from having to "barn storm" (does it really count if most games were played outside?) during its earliest years because most of the games in the early 1900s occurred along the coast. Cornell had some success but when it came to hosting games on East Hill, the Big Red relied upon playing its games on Beebe Lake. Temperate winters that are very uncommon on the Hill led to the cancellation of many games. I believe that Cornell and Penn State needed to cancel a game because of ice being too thin on Beebe Lake. I might be wrong about that. I believe that they had agreed to play more than the one in 1944 though. Anyways, people began to bemoan the dangers of having a hockey team play on the ice of Beebe Lake in the mid-1940s. Then, Cornell suffered an embarrassing 10-0 loss to Clarkson in 1948. Upon the team's return to Ithaca, the Athletic Director Bob Kane declared that no similarly embarrassing loss would occur while he was AD and he eliminated the sport. The sport did not exist for Cornell University from December 1948 until March 1957 when Lynah Rink opened. It was during that near decade that many thought that Cornell would end up following a path that more resembles the one that Penn State endured sadly. Walter Carpenter, Jr, who built an engineering library on campus also, decided that hockey needed to be resurrected and chose to fund the construction of Lynah Rink at the cost of $500,000 on the condition that it would not bare his name. Lynah was named after alumnus James Lynah who served as athletic director of Cornell and founder of the ECAC. It was five years until Lynah began to realize its potential, but that gift in 1956-57 was what guaranteed the rise of Cornell hockey. Members of the Lynah Faithful who know their school history should feel a great amount of empathy from how much the histories of Cornell and Penn State hockey are alike. That's without even mentioning the influences that Harkness and Dryden had on some of the early planning of a club team in Happy Valley. I will cling to it much like Red Sox fans defend the originalism of Fenway, or Cubs fans do the same with Wrigley. Haha thanks for the Hockey East comment. A lot of Hockey East fans do not realize that debates about Ivy League preoccupation with limiting the number of competitions for academic reasons and the power of those schools in the historic ECAC led to Hockey East seceding from the Conference. I take it upon myself to remind BU fans before each edition of Red Hot Hockey. It seems like too many within the ECAC community want to set their standards low because of the “limitations” of being an ECAC team rather than celebrate what makes our Conference great and unique while still aiming for the pinnacle of college hockey. I embrace the latter approach. Having more perceived “limitations” in our way will make the attainment of the goal all the sweeter. I am looking forward to the B1G Hockey Conference joining NCAA Division I. I hope that Ivy/ECAC-B1G out-of-conference series development. I like both the Ivy League and B1G because they are both groups of universities that are both functional as athletic conferences and embodiments of deeper cultural values that all members share. I think that they are the only two conferences that have both characteristics. No need to apologize for long comments. After a post that long, I appreciate in-depth comments. Thanks for the shared history and input. P.S. Weebly is a great platform! We chose to use it largely because Penn Staters created it. Tradition is great and all, but star was a dump. Any rink where the seats don't come up to the boards belogns in high school. I agree there are great historic barns other than Lynah in our league that are special and schouldn't be replaced (Appleton and Hobey immediately come to mind, as does Ingalls, and even that airplane hanger in Troy), but I don't put Starr in that category. A new Colgate rink, if done nicely will be great for their program. But ultimately as we all know, what makes a place like Lynah feel so special is that it's packed by fans who care every friday and saturday evening. It's why Hobey is no fun unless Cornell is in the building, and its why that nice rink at QPac seems so sterile and bland. IF the fans come, and since we're talking Colgate I have my doubts about that, then the arena will be a great place to watch hockey. What do you mean where the seats don't come up to the boards? In my estimation, one could argue that Lynah doesn't have seats that come up to the boards all the way around. I agree that the atmosphere is part of what makes Lynah so special, including the packed nature of the building. But even if (in some alternate universe) Lynah were to not sell out all tickets, I think that it is the history of the rink itself, the players who played in it, the magic that happened there, that makes the rink. Not just rabid student support. So while 'Gate might not sell out their games, they lose all sense of history by starting a new building instead of renovating and fixing the issues with the current building. I think the renovation could arguably do more for their program than a new building, but I'm just one person. I mean there's literally a walkway in front of the seating in between where the seats start and the boards. In my opinion a real hockey rink you should at least be able to physically bang on the glass if you wanted to (not saying fans should do that, or that we're allowed to do that in Lynah) and at least from the places I've sat in Starr, that's just no physically possible. For a building that fits so few fans, I feel incredibly removed from the action in Starr. Colgate has had some good players no doubt, but its not like its the same ice Dryden, and Nieuwendyk played on. Yes, Lynah is special to me because it's where my family who went to Cornell watched games, and because its an incredible place even when empty. But Lynah itself is also about the fans and how they contribute to the building. Fans storming over the boards in 1979. The airplane hangar decibel levels on game nights. My favorite college hockey rinks are Lynah, Yost, Gutterson, and Alfond. What do they all have in common? great history, and rabid, loud fan bases. Starr to me is a half-empty building where that is as silent as a church during mass even during a so-called "rivalry game". The coolest part about Starr is that scenes from Slap Shot were filmed there, not any actual hockey that has been played there. And all due respect to Austin Smith as a hockey player, but no recruit is going to say this place is amazing, I want to play here because Austin Smith played on this ice. They'll say that because of a Dryden. a Nieuwendyk, a St. Louis, a Kariya, or any number of players Michigan turned out. But no Smith, at least yet. Still, I too generally favor protecting tradition and history when warranted. History is very important to our league. I just don't believe that Starr warrants that kind of reverence and respect that Appelton does. Just stumbled upon this now, but from what I'm hearing, the decision to renovate is being met with a bit of buyer's remorse from the administration. The very facilities that you trumpet are now being described as inadequate, and there's some discussion about what can be done in the near future to further enhance the building. Too much of the improvements over the past decade have been band-aid fixes. Contrary to what some might believe, this isn't the same Lynah that the greats from 40-50 years ago played in. Everything's different; the boards, the glass, the benches, the locker rooms. History and tradition is nice, but at some point it becomes an anchor holding you back. Other programs with more history have been able to build new barns that have further elevated their programs from their historical greatness (Minnesota, North Dakota, even Clarkson). Some programs without the history of Cornell (Miami, Notre Dame) have proven that a new building can provide a launching bad to bigger and better things. In both of those cases, it was because the new construction was done right, with a nod to the fan experience, both in person and on TV (watching games on TV from Lynah is a miserable, miserable experience, when you can't see 40% of the ice surface). Just as new does not necessarily equal better, old isn't better, either. Better is better. 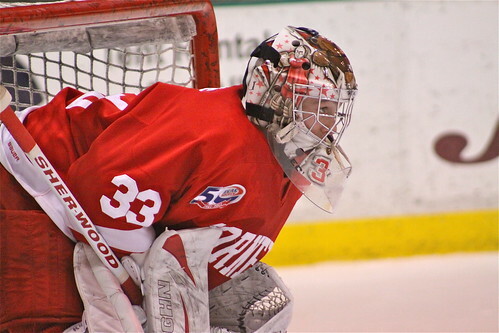 Cornell had a chance to improve and enhance the Lynah atmosphere, and elected the cheaper, easier way out, and the program suffers because of it. I couldn't agree more. By renovating Starr Rink, the University can maintain the building and the premises and use the free sites for developing other projects that benefits the students and athletes. The main concern should be to renovate in such a manner that it is sustainable.